Why is it that some of the most pristinely beautiful sites are the ones chosen for those new eyesores, Wind Towers. Such is the case for a proposed new Wind Power Plant, euphemistically called ‘Wind Farms’. How I hate that term ‘Wind Farm’, and they use that term to make them sound like they are doing something constructive, associating it with the land somehow. This new Wind Plant, The Musselroe Wind Farm, in Australia, is to be located in Tasmania, that large Island to the South of the Continent. This new situation has a remarkable symmetry to what happened in Tasmania back in the 1980’s when a new dam was proposed for the Franklin River wilderness on that same Island, and part and parcel with that proposed dam was a Hydro electric plant. Back then however, environmentalists came from everywhere, Tasmania, Mainland Australia, and indeed from the wider World, all to protest against a Dam in a pristine wilderness area. Now however, it seems that something like this Wind Plant is somehow okay. Back in the 1980’s one of the most vocal protesters, and in fact the leader of the protest was Bob Brown. That same Bob Brown is now an Australian Senator for the Australian Greens Party, representing the State of Tasmania, where this Wind Plant is to be constructed. Part of his agenda, and in fact, his Policy, is the introduction of Renewable Power Plants, so will he be protesting anything like this? In exactly the same manner as the dam on the Franklin that he protested against was a going to be a blot on the pristine Tasmanian landscape, this Wind Plant will also be a highly visible blot on the landscape, in his own home State. Will he be protesting? Will his Greens Party deputy, Senator Milne, also from Tasmania be protesting as well? In fact, this time, anybody who is protesting will be labelled by these same environmental advocates as ‘shills’ for ‘Big Oil’. They will be labelled as ‘Deniers’. They will be vilified if they make any protest whatsoever. So then, let’s look at this new Musselroe Wind Plant, not from an environmental aspect, but from the absolute core of what this Plant is supposed to do, provide electrical power. First, let’s look at some of the technical details of the towers themselves. 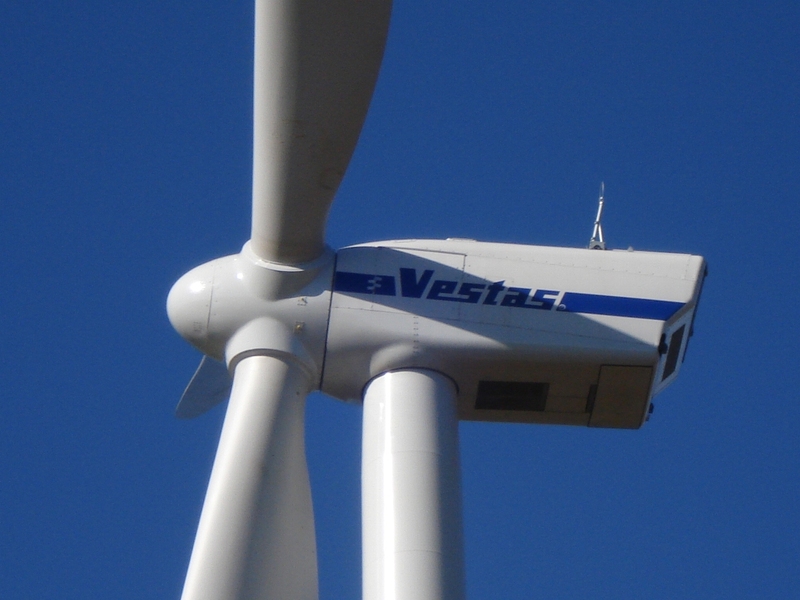 On top of each tower will be the Vestas V90-3 Nacelle. The -3 indicates that this nacelle will be housing a 3 MW generator. This nacelle weighs 70 tonnes, so the structure itself needs to be quite sturdy. Each tower will weigh in the vicinity of 285 Tonnes. The tower will be 105 metres tall, measured to the hub. That’s just a tick over 340 feet. Attached to that hub are the three blades, having a swept diameter of 90 metres, which is around 300 feet. There will be 56 of these huge towers in that pristine countryside. So, with 3MW generators, that total power comes in at 168MW. This sounds like it is in fact quite a large amount of power, but as I have always said, that ‘up front’ Nameplate Capacity is not what should be highlighted. What should be focussed on wholly should be that actual power delivered to consumers in the State of Tasmania, because as with all power plants of any sort, they only supply a relatively local area. That expected power to be delivered for consumption is a theoretical total of 420GigaWattHours (GWH). That delivered power of 420GWH is in fact 420,000,000KWH, and when stated like that, in comparison to your residential account, it actually does look to be a large amount. What that total power delivered number does tell us is just how efficient a Plant of this nature really is. If those rotating blades on every tower were to rotate 24 hours a day for a whole year, they would generate for consumption 1,472GWH of power. So, knowing the (theoretical) power delivery of 420GWH, we can calculate the Capacity Factor (CF) for this Plant. That CF comes in at 28.5%. Now, remember how I said the Plant can generate that huge total if it were to operate for the full 24 hours. That’s 7 hours of power in every 24, averaged over the full year. The website for the Plant itself says that this Plant will be supplying the power needs for 50,000 homes, and when it is stated like that, it makes it sound like they are supplying an awful lot of power. This plant will not be connected directly to those 50,000 homes, and if it is only supplying power for just under 7 hours a day, then surely it would never supply all the needs for those 50,000 homes anyway. So, that again shoots down the claim that this Plant WILL meet the electricity needs of those 50,000 homes. So, why do they use this figure when it’s so easy to discount. It’s a clever ploy on behalf of the Company proposing this Plant. They cannot (and never do) state in the proposal that their Plant only has a CF of 28% and will only be supplying power for around those 7 hours a day. If they did that, people would ask some pretty stern questions of them. So, what they do is, knowing the theoretical total power that the Plant ‘might’ generate, and knowing the total residential consumption for that area, they extrapolate the theoretical total into what an average residence might consume, and from that, they can then say that the Plant can supply the needs for that (X) number of homes, in this case 50,000. This way, it makes the Plant look pretty impressive, instead of pretty average, and they can actually say that they told the truth ‘up front’. The problem with that is that the average person does not know the technical details to work it out. The Plant then states at their website that they will in fact be saving 450,000 tons of Carbon Dioxide emissions each year, again making it sound like this Plant is actually doing something substantial. Again, this is ‘artful’ interpretation. If they were to construct a coal fired plant of around the same size, then that coal fired plant would emit around that total of 450,000 tons of CO2, so that’s how they come by that number. If they construct this Wind Plant, then they are saving that 450,000 tons of CO2 by NOT constructing an equivalent coal fired plant. It could also be said that because this Wind Plant is supplying that electricity to the grid, then there would be a saving of CO2 emissions from Plants that do supply the grid, in this case Natural gas fired power plants, but again, that is a spurious figure, because, as I have said, this Wind Plant is only supplying power for, on average, 7 hours a day, and those hours are not firm, but can be any time, so, in fact, those same other power plants will still need to be operational to supply power, because they don’t know when this Wind Plant will be running, or just sitting there with the blades not turning due to lack of wind, or even too much wind. This electrical power data alone is enough to make people think seriously about the efficacy of constructing 56 huge towers in such a pristine area. The average life of a Plant of this nature is (at best) 25 years, while the average life of current coal fired plants is around 50 years, and even that can be extended out. At the end of that 25 years, these now expired Wind Towers will just be huge and totally useless concrete structures. This Plant will cost around $400 Million. The Company proposing the Plant will need to find finance for that and a large part of that has already been secured, from, of all places, China, the China Light and Power Company, trading in Australia as TRUenergy. Will the Vestas V90-3 Nacelles with the generator complex inside be constructed here in Australia, providing technical jobs for Australians? Those nacelles will be imported from the manufacturer, based in Denmark. During operation of the wind farm a monitoring program will be undertaken that continues to look at bird use of the area. They will be looking at bird use of the area. Well, that’s a relief. Thank heavens for that. Look, there’s a bird. The project team continues to consult with the Aboriginal community as construction proceeds, and all construction team members attend a Cultural Awareness training session presented by members of the Aboriginal community as part of their induction to the wind farm site. Well, that too is a relief. The Plant is situated on the North Eastern tip of Tasmania, and the Plant’s website says that this will take advantage of the ‘Roaring Forties’ that famed Latitude 40 Degrees South where the winds blow so strongly, and in fact the winds utilised to bring that very first fleet of settlers to Australia in 1788. However, those strong winds blow at their strongest on the WEST Coast of Tasmania, not at the North East tip of that large Island. So, in effect, this Plant is supposedly being situated for its access to good wind and yet it will still only be supplying power for around 7 hours a day. So, place a wind Plant in an area of high wind, and it still only delivers marginal and boutique amounts of electrical power. So, when you hear of plans for a wonderful new renewable power plant to be constructed in Australia, be aware that all is not as it seems. People will protest, as they did at the site of the (failed) Franklin River Dam site, a protest that in fact saw that proposal not proceed. While that protest was spectacularly successful, will this one have any chance of success? In fact, anyone who protests will be marginalised and vilified, because this time, something like this Plant is perceived as being ‘Good’. People will protest on many fronts, but the major point of protest should be the fact that a plant of this nature actually fails to deliver what it says it is supposed to. Large amounts of regular, constant electrical power on a large scale, something it fails utterly to do. Power for just on 7 hours a day, and small amounts of power at that. Let’s use the same ‘houses supplied’ analogy with a large scale coal fired power plant, the one I always use for comparison, Bayswater Power Plant. 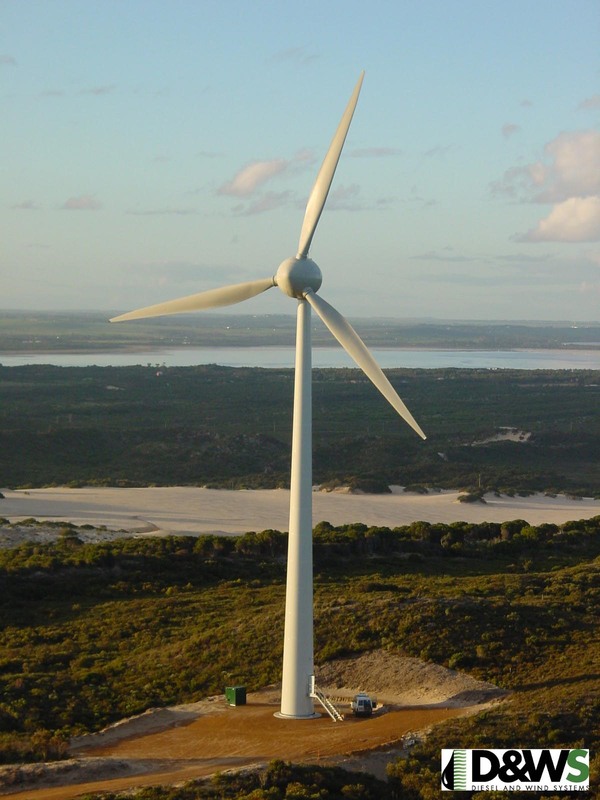 Using the same example that this Wind Plant can supply the needs for 50,000 homes, then Bayswater can supply the needs for, and wait for this, more than 2 MILLION homes. This new Wind Plant is in fact a travesty, but will any of these reasons be enough to see it be cancelled as was the dam on the Franklin. No, this plant will proceed, because there’s political mileage to be made out of it. And will Senator Bob Brown, that doyen of environmental protest, be at the forefront of any protest here? 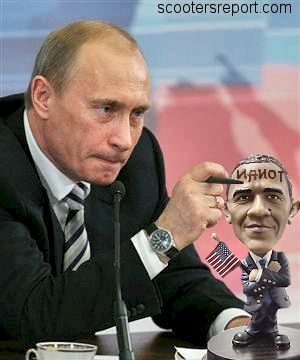 No he will be one of the loudest voices railing against those who may protest here. You see, he supports this form of environmental vandalism. This is one travesty that will in fact proceed to construction. Large Wind Turbine at Nine Mile Beach Wind Farm. Image courtesy of Verve Energy. As has been pointed out in the comments below, some people may not readily understand the way of expressing the total power output. While these Wind Plants may produce some levels of their power throughout most hours of the day, the 7 hours I have quoted here is the equivalent of totalling all that power and expressing it as the average for the whole 24 hour period if the plants produced their maximum power. Those comments read from the bottom to the top, with the top comment being the most recent. Again, some people also have no real idea of the scale of the size of these towers, and it’s sometimes difficult to show that scale. The image at right here shows a different type of tower, but it is of similar size. 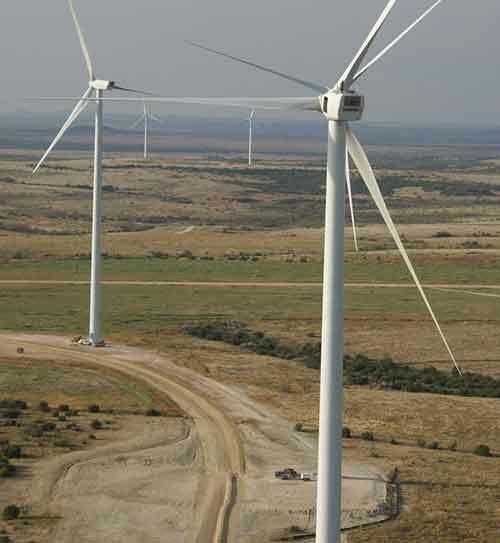 This tower is an Enercon E40, and this one is 46 metres tall to the central hub, and can generate 600KW at its maximum. Note the Vehicle at the bottom of the tower to give a better idea of the scale of the tower itself. This tower is at Nine Mile Beach, near Esperance in Western Australia. If you click on the image it will open in a new and larger window, and then for an even larger image just click again on that image. In the case of the Musselroe Wind Plant, there will be 56 of those huge Vestas towers in what is a beautifully pristine part of Tasmania.